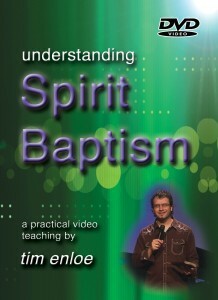 Our long awaited DVD teaching on Spirit Baptism is here! Perhaps the most thorough teaching on the subject that we have yet done. This resource is designed with small groups in mind, but can also be watched in its entirety. Includes a leader’s outline for small groups. This entry was posted in Books/Resources, Speaking in Tongues/Glossolalia, Spirit Baptism. Bookmark the permalink.